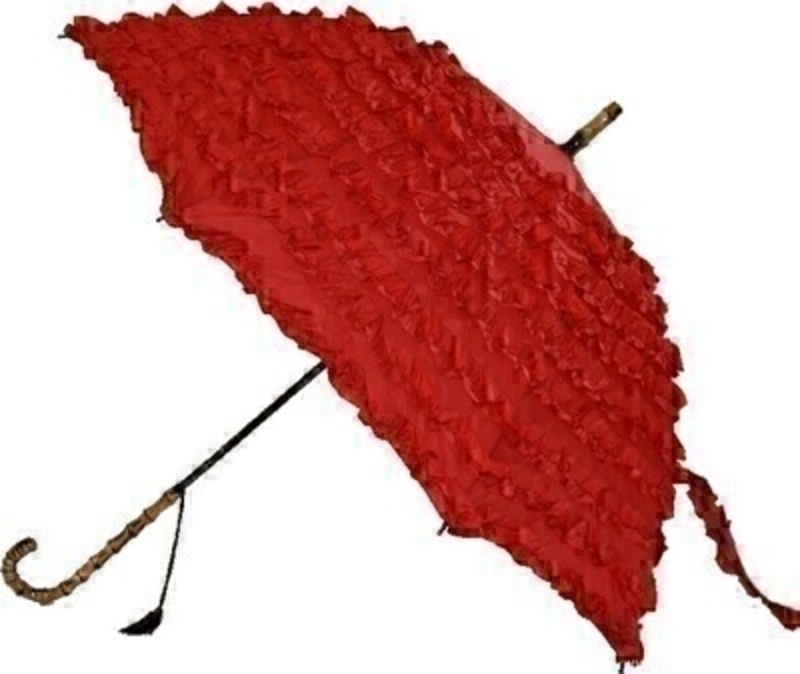 This Red FiFi Frilled Umbrella features 9 sumptuous frills covering the whole canopy as well as a beautiful Bamboo effect hooked handle and tassel. It also has 8 virtually unbreakable fibreglass ribs and a secure velcro fastener. It has a diameter of 105cm and is walking stick lenght.